FIR lodged by Petitioner - Accused acquitted after trial - Petitioner cannot be prosecuted for defaming the accused. Before :- Vinod K. Sharma, J.
Crl. Misc. No. 9883-M of 2008. D/d. 31.07.2008. For the Petitioner :- Mr. Deepak Arora, Advocate. For the Respondent No. 1 :- Mr. Sandeep Arora, Advocate. For the Respondent No. 2 :- Ms. Rajni Gupta, DAG Punjab. Vinod K. Sharma, J. (Oral) - The petitioner seeks quashing of criminal complaint dated 27th of July, 2007 titled as Lakhwinder Singh v. Kamlesh Kaur, attached as Annexure P-6 and also the order dated 23rd of February, 2008 attached as Annexure P-7 passed by the learned Judicial Magistrate Ist Class Jalandhar, summoning the petitioner to face the trial. "1. That the complainant is a respectable citizen and comes from a highly respectable family. The complainant is a retired army personnel. 2. 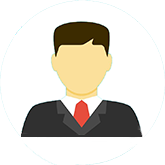 That the complainant carries high respect from the public in his locality/towns as well as in the other parts of the country. The complainant is also engaged in social work among the society. He is the cashier of the Gurdwara of his area. 3. That the complainant is known to the accused as she is living in his locality. Moreover in September 2004 the accused approached the complainant and requested to give a loan of Rs. Lacs for settling her husband abroad and for other domestic needs. The complainant gave Rs. 1 lac on 1-10-2004 and Rs. 50,000/- on 18.11.2004 after withdrawing the some from his bank to the accused. Again the complainant gave Rs. 50,000/- to the accused on 5-10-2005. In the month of April 2006, the complainant approached the accused to return his amount to which the accused requested the complainant for making efforts, for getting a bank loan for her on her house. She gave the sale deed of her house to the complainant. The complainant consulted with some bank officials but as the sale deed of the accused's house was in the name of her husband, so the loan could not be materialised, whenever the complainant asked for his loan amount, the accused used to put off the matter. Lastly the complainant convened a panchayat on 12.5.2006 consisting of the complainant, Major Singh Sandhu, Jasbir Kaur, Kuldip Singh, Qajjan Singh and Baljit Kaur etc. In the Panchayat the accused admitted to repay the loan of the complainant, at this the panchayat reduced the agreement into writing but later on again the accused refused to sign the agreement, but all the other panchavat members have signed the same. 4. That the accused annoyed with this intentionally made a false and frivolous application dated 20-7-2006 against the complainant to the police that the complainant his wife are travel agents and has taken Rs. 2,10,000/-, for sending the son of the accused to Australia. Moreover, the fact is that the son of accused was 15 years of at that time. 5. That the accused having ill will and malice against the complainant intentionally made a false and frivolous application to the police just to malign the image and to defame the complainant and tarnish his image in the society. 6. That the complainant and his wife was called to the Police Station Cantt. Jalandhar for joining investigation. At that time, the complainant, his wife and other respectables of his village made statements in favour of the complainant. Later on the police investigated the matter thoroughly and at last on 20.8.06 the investigating officer gave his final report that the accused Kamlesh Kaur instead of returning the amount of the complainant, filed this false and frivolous application and as per the enquiry/investigation it is amply clear that Lakhwinder Singh and his wife are not travel agents and have not taken any amount from the accused for sending her son abroad. Later on the matter was investigated by the higher officials also and lastly the Senior Superintendent of Police, Jalandhar, made the report in favour of the complainant and filed the application of the accused being truthless and frivolous. 7. That due to the false and frivolous allegations of the accused against the complainant and his wife, the people of the locality and other parts started maintaining a distance from the complainant and his wife. Many people, openly asked the complainant that they were having high respect for him but now after this application they have got no respect for him. The complainant felt dejected, from the society at large for none of his fault. 8. That the accused have defamed the complainant without any justification by making a false and frivolous allegations against him and him and also by oral defamation amongst the public. 9. That the accused have committed the offence of defamation and criminal conspiracy under the most aggravating circumstances. 10. That the complainant is an aggrieved person, hence this complaint. It is therefore respectfully prayed that an enquiry may be made into the above allegations, the accused be summoned and deterrent punishment may be awarded in the interest of justice." 2. A reading of the complaint shows that the complaint seeks prosecution of the petitioner under Section 500 read with Section 506 of the Indian Penal Code on the plea that a false case was registered by the petitioner which resulted in his defamation. "Whoever, by words either spoken or intended to be read, or by signs or by visible representations, makes or publishes any imputation concerning any person intending to harm, or knowing or having reason to believe that such imputation will harm, the reputation of such person, is said, except in the cases hereinafter expected, to defame that person." "Accusation preferred in good faith to authorised person. - It is not defamation to prefer in good faith an accusation against any person to any of those who have lawful authority over that person with respect to the subject mater of accusation." 4. Thus allegations made to the Police alleging the commission of offence would be covered in 8th Exception to Section 499 IPC and would not constitute defamation, even if the allegations levelled are taken on their face value. 5. It is pertinent to point out here that the petitioner was also prosecuted under Section 182 of the Indian Penal Code in which she stands discharged. 6. It is the case of the complainant-respondent No. 1 that the order of discharge dated 1-03-2008 (Annexure P-5) passed by the Judicial Magistrate Ilnd Class, Jalandhar, is under challenge. 7. Thus it would be seen that once a specific remedy is provided under law, resort cannot be taken to general provisions by filing a complaint under Section 499 IPC, as filing of false complaint constitute an offence under section 182 IPC. "3. After considering rival contentions raised by the learned counsel for the parties, I am of the considered opinion that the complaint was nothing but an abuse of the process of law as Smt. Baljit Kaur wanted to wreck vengeance against Jit Singh on account of her unsuccessful result which has culminated on account of the decision by the Matrimonial Court who passed decree of divorce in favout of Jit Singh against his wife Baljit Kaur. A close reading of the findings on issue No. 1 only suggests that this issue remained unsubstantiated for want of proper evidence. There is no finding given by the Matrimonial Court to the effect that the allegations of adultery levelled by Jit Singh are false and frivolous to his knowledge and that those have been levelled in the petition under Section 13 of the Hindu Marriage Act in connivance with Gurjant Singh or other witnesses. Moreover, the Judgment passed by the Matrimonial Court has become final and it was never challenged by Baljit Kaur. Otherwise also as per Section 340 Cr.P.C. it was obligatory on the part of Baljit Kaur making prayer for prosecution of the petitioners under Section 340 Cr.P.C. for filing complaint for the offence under Section 193 IPC. Since there is no finding on the part of the Civil Court that Jit Singh and others had committed any defamation against Smt. Baljit Kaur in connivance with Gurjant Singh other petitioners. The complaint filed by Baljit Kaur was nothing but to wreck vengeance and it has been moved with mala fide intention. In view of the findings given by the Hob'ble Supreme Court in State of Haryana v. Bhajan Singh, 1991(1) RCR (Crl.) 383 : AIR 1992 SC 604 it becomes necessary for this Court to invoke power under Section 482 Cr. P.C. as sufficient ground has been made to quash the complaint and the summoning order. Resultantly, both the petitions are hereby allowed and the complaint and the summoning order stand quashed and directions are given to the Trial Court to not prosecute the petitioners." 9. Learned counsel for the respondent No. 1, however, contended that the complainant has been defamed by filing of a false complaint with the Police, she is righty being tried by the Court and proceedings cannot be quashed as the allegations in complaint disclose an offence punishable under Section 500 read with Section 506 IPC. 10. It is also the contention of the learned counsel for respondent No. 1 that good faith has to be established by leading evidence and, therefore, Exception 8th to Section 499 IPC would not be applicable at this stage. 11. On a consideration of matter, I find force in the contentions raised by the learned Counsel for the petitioner. 12. Neither the petitioner has published nor defamed the complainant in public eye but the petitioner made a complaint to the Police. The complaint made would be protected under Eighth Exception to Section 499 IPC. Even otherwise, the petitioner was prosecuted under Section 182 IPC and stood discharged, her trial on the sane allegations by way of present complaint would be nothing but misuse of the process of the Court and would be hit by principle of double jeopardy. The continuation of the present proceedings are, therefore, misuse of the process of the Court. For the reasons stated above, this petition is allowed. The complaint, summoning order and subsequent proceedings arising therefrom are ordered to be quashed. 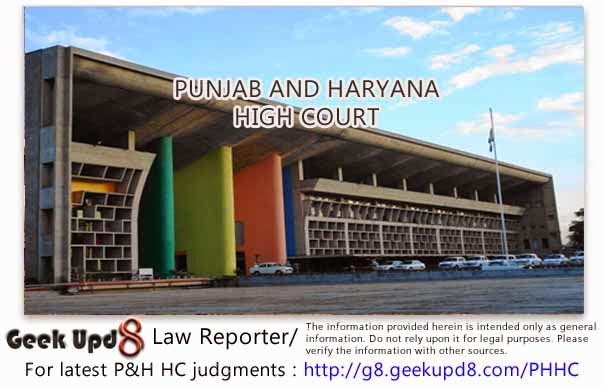 Geek Upd8 - Law Reporter: FIR lodged by Petitioner - Accused acquitted after trial - Petitioner cannot be prosecuted for defaming the accused.